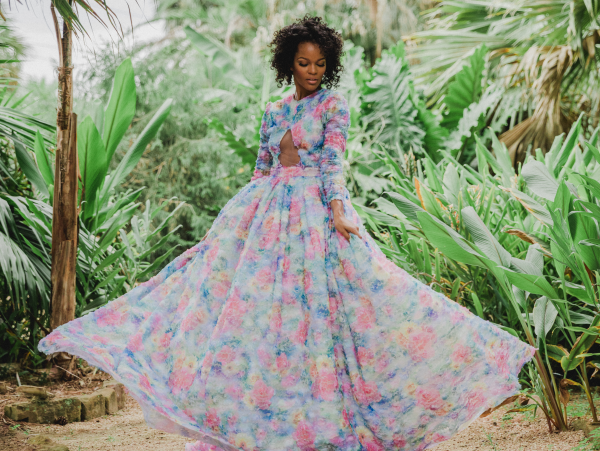 Given her family name, it only seems natural that Lela Rose incorporates a floral theme into her designs. 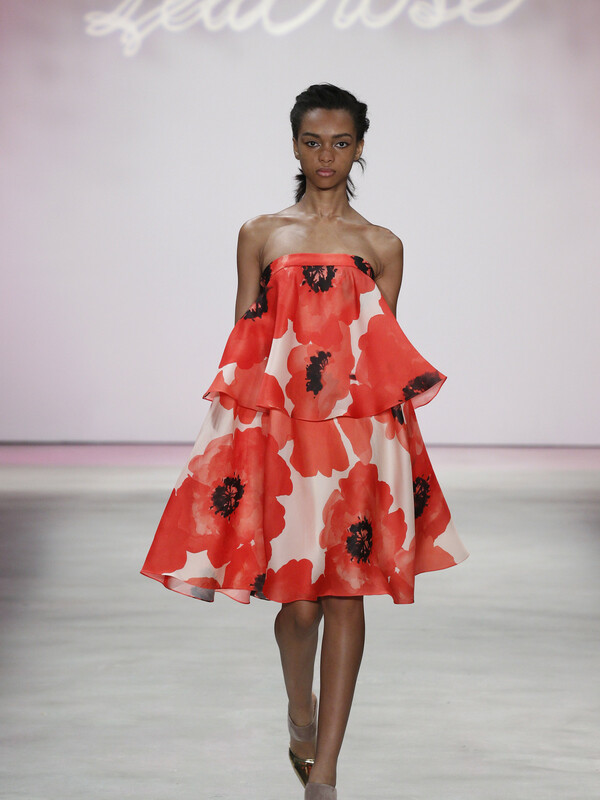 Her spring 2016 collection, unveiled at New York Fashion Week underneath a canopy of upside-down pink tulips suspended over the runway, features a variety of dresses, gowns, tunics, and jumpers dotted with hand-cut embroidered flowers, magnified poppy prints, or stamped metallic brushed florals. But there's not a rose in the collection. Rose realizes that would be just a little too gimmicky. 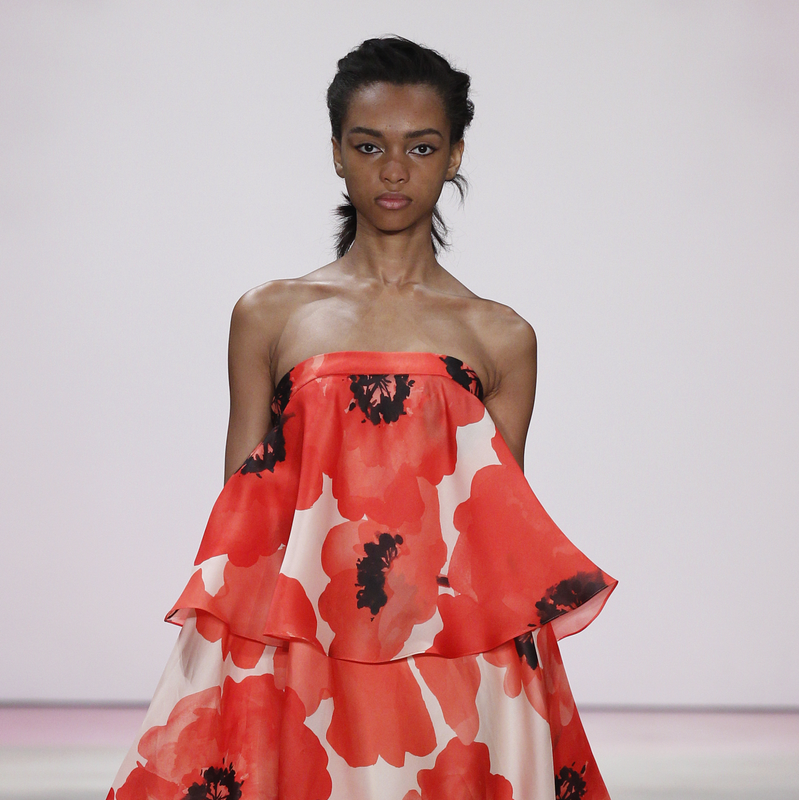 The Dallas native, who has a large and loyal following in Texas for her breezy and feminine yet fun designs, is right in tune with next spring's emphasis on flower prints. 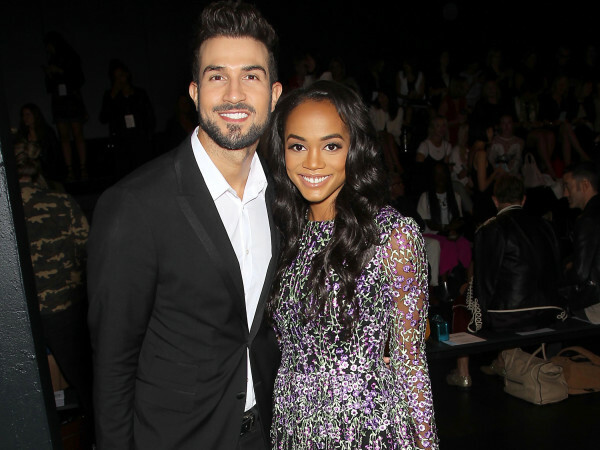 Just about every designer is showcasing them and bold colors. 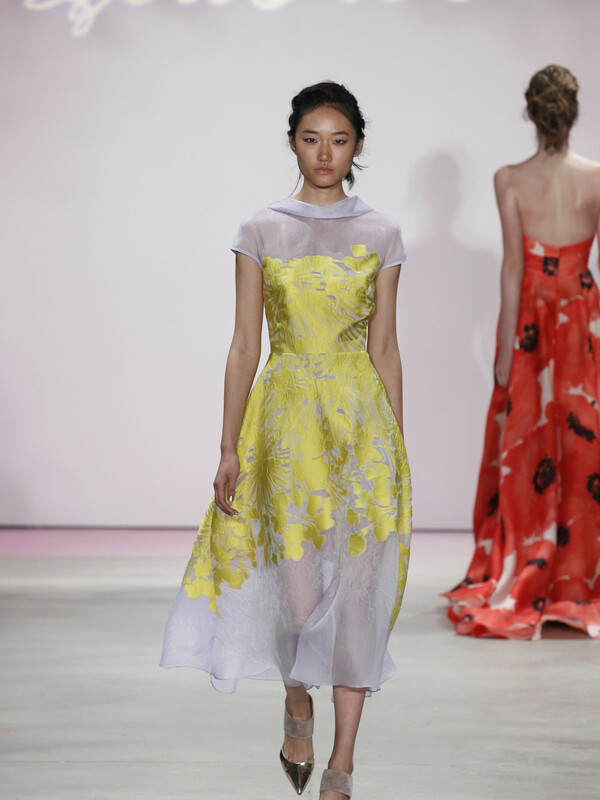 But Rose's collection also has an ethereal feel, with sheer overlays. See-through organza slacks with a silver metallic stamped V-neck blouse or silver-fringed tweed top and an eye-popping fluorescent corded lace gown are among the looks that show a hint of skin without showing too much. Neon-hued tweed and thread beading add a dash of color to a soft palette of coral, light gray, and ivory. 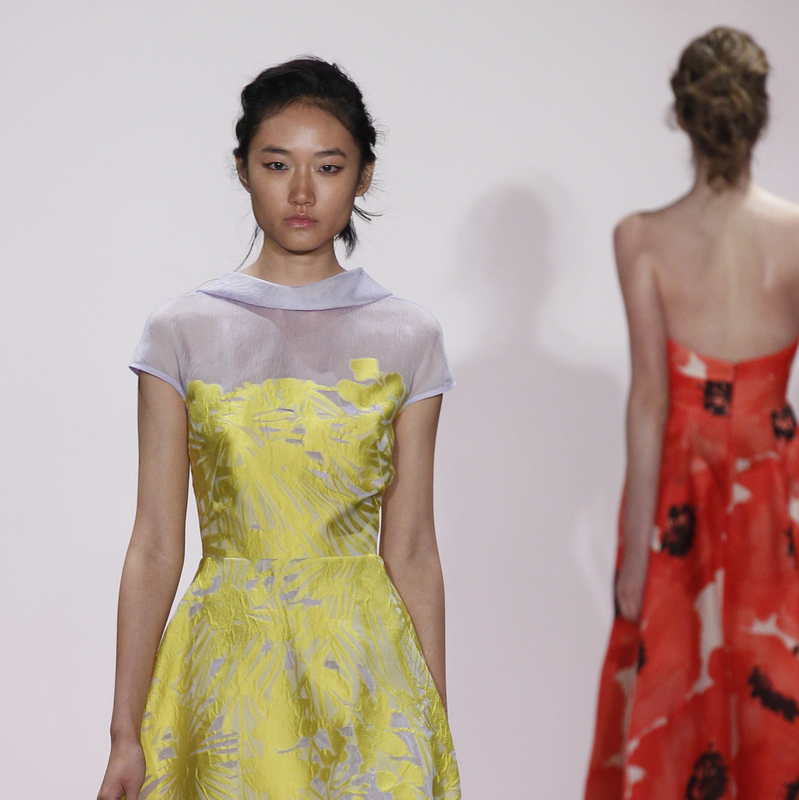 And tiny embroidered flowers freshen up an organza jumper and a smart V-neck dress with a 3-D look. 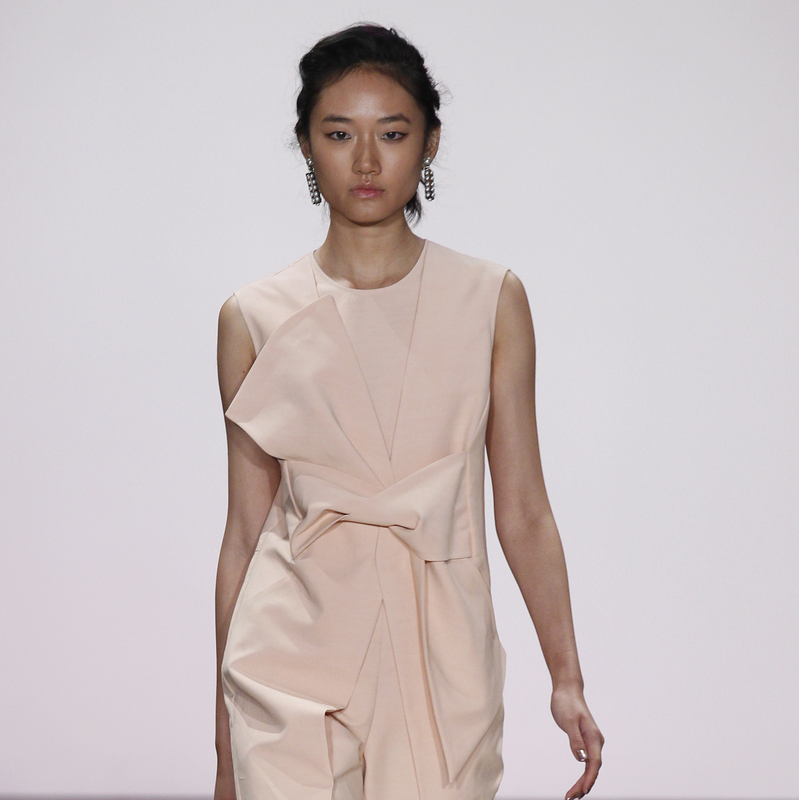 But some favorites from the collection are simpler: A pale pink jumpsuit with a modernized bow in front and a sleeveless trench in the same shade evoke a modern attitude that needs no embellishment whatsoever to make a point.